Our newsletter for November 2018 celebrates the completion of works on Car 12 to upgrade it to class 139 compatibility, and announces the AGM. Click here to download. Our newsletter for July 2017 includes a report on the options for a short route shuttle at Gobowen, and progress on the works on our railcar. To download, click here. This is our newsletter for January 2016, with updates on efforts to reopen the Heathfield branch line and a profile of the newest director on the LCT board. Could we reopen the Heathfield branch? 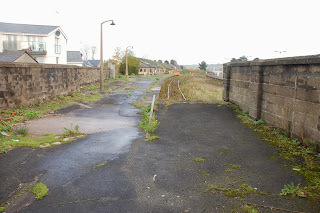 There is a little-known branch line that runs from Newton Abbot to Heathfield (a large village and industrial estate, just outside Bovey Tracey) which once provided passenger services to a number of Dartmoor towns and villages but more recently has been a freight depot for timber. Now this use also has come to an end, and while other freight uses might still be possible it is presently empty. The photo here is of the former Heathfield station - the platform is still present and usable though access leaves much to be desired. Our proposal is to operate a demonstration service using our class 139 railcar - an hourly shuttle between Newton Abbot and Heathfield, with a stop midway at Teigngrace. 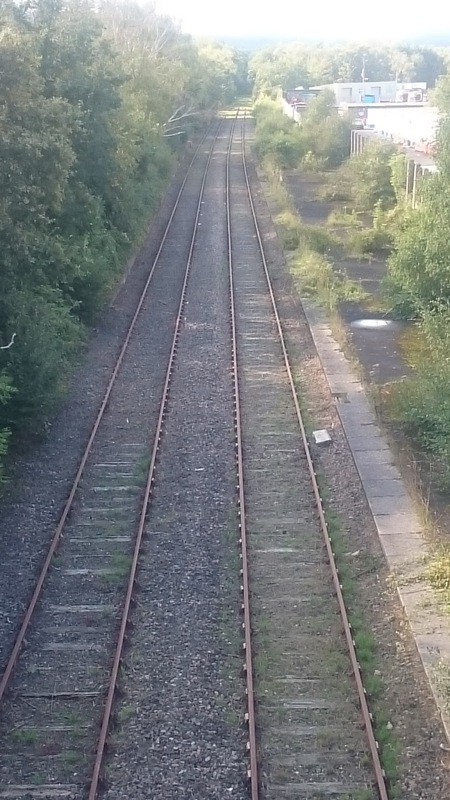 If this is successful, it could pave the way to a more extensive refurbishment of the line with faster and more frequent trips and new stops and line extensions. We're very keen to make sure that from the outset this service is accountable to and owned by the local residents. Do please contact us if you live in the area and woudld like to find out more about how this could work. We're pleased to present our newsletter for May 2015 - apologies for the long wait. There is news from Wensleydale and information about the new ULR Group, but we lead with a new opportunity in Devon - the Heathfield branch line. The picture below (thanks to Ecorail) shows the unused bay at Newton Abbot that could be the starting point of a route to a Park and Ride site just outside Bovey Tracey (known as the gateway to Dartmoor). 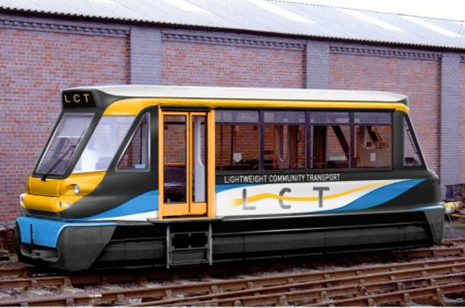 Lightweight Community Transport is very pleased to be supporting the new Ultra Light Rail Group. This group of companies developing business in the field of ULR will be jointly represented within UK Tram, the UK's industry body for light rail and trams. First outing was at the recent High Level Tram Summit, where Baroness Kramer (then the Minister of State for Transport) expressed the government's commitment to trams in general and ULR in particular - very good to hear. Our own Bob Chard delivered a presentation on ULR which you can download as a PDF here. Sustraco, meanwhile, has taken the lead preparing a new leaflet introducing the concept of ULR - a great place for beginners to learn about the promise and the principles of the new technology. Again, you can download the leaflet here.